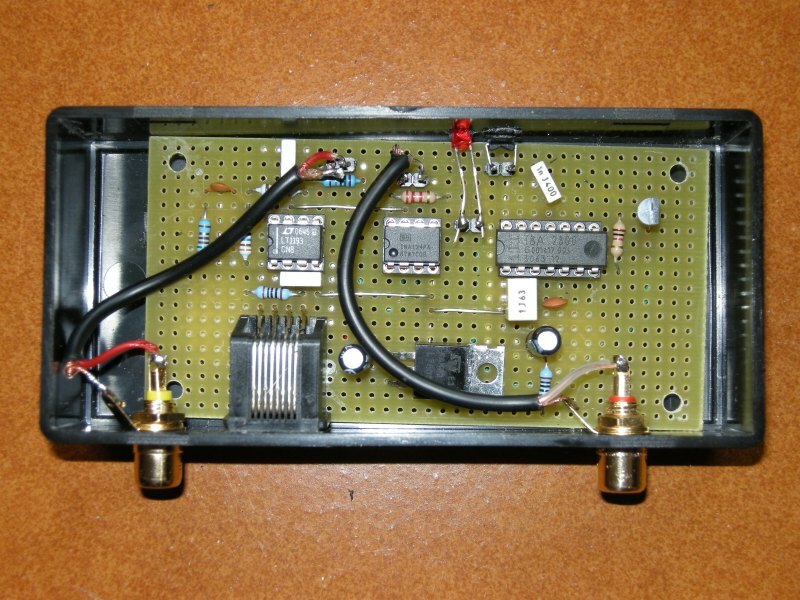 This project born to transmit the signal of Sky decoder on a second room. 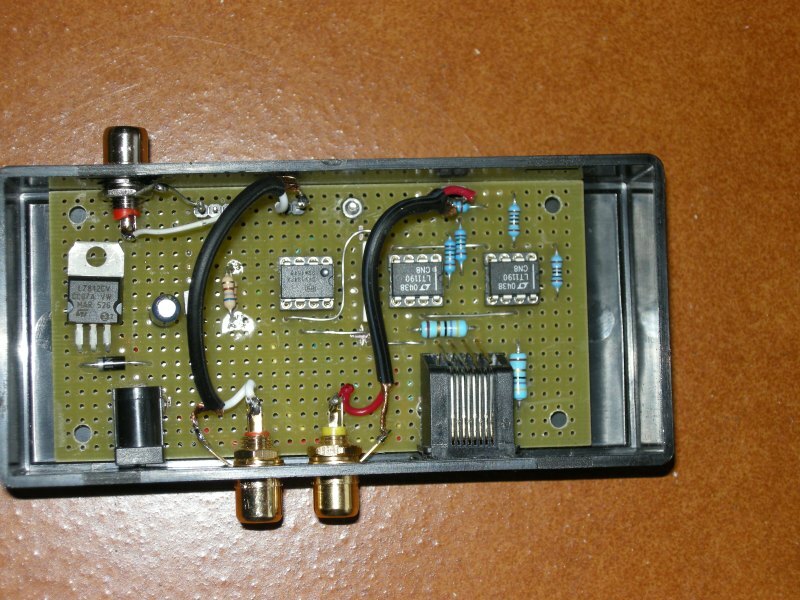 It can be used also to transmit the signal of Digital TV receiver and Tape recorder. To this purpose it is necessary send composite video signal, audio signal and infrared signal to change channel. I don't like normal wireless repeater because radio signal on house are harmful for the persons. The main idea is to use a single cheap Ethernet cable for all the signals. The schematic is based on the Linear application note DN65 Send Color Video 1000 Feet Over Low Cost Twisted-Pair. For the audio section the schematic is based on application note of DRV134 and INA134. The TLE2426 chip as been used to convert the single 12v to dual power supply (+6v / -6v)necessary for the LT1190, LT1193, INA134 and DRV134. To use a single power supply for both tx and rx I have used 2 wire of Ethernet cable for the 12v but in this case there isn't enough wire for to channel audio.